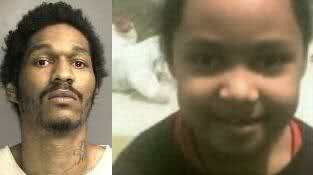 Genesis Sims, age 7, died from blunt force trauma to the chest. She had been pulled from school to be homeschooled six weeks into the fall semester. Her father, Hanif Sims, had been physically abusing her since at least 2003, and his girlfriend Monique Lynch may also have abused the girl. The day before she died, Genesis had been forced by Sims to stand in the cold with no shoes as a punishment. On December 10, the 12th birthday of her stepbrother Devon, Genesis wet herself out of fear of her father. Sims made her take a shower, then became enraged when she took too long. He picked Genesis up by the throat and punched her in the chest, causing her heart to fail. Sims and Lynch sat with an unconscious Genesis for two days, deciding not to seek medical care for her because Lynch—who was five months pregnant at the time—had an outstanding arrest warrant in New Jersey and did not want to go to prison. When Sims and Lynch believed Genesis to be dead, they wrapped her in trash bags and buried her in the crawlspace. She may have still been alive when she was buried. After Genesis’ death, Sims and Lynch told Devon and the neighbors that Genesis had been sent to live with her biological mother in New Jersey. They then moved the family to a homeless shelter in Los Angeles, California, where they lived from March to December 2009 before dropping off Devon and their infant child with relatives. Genesis’ body was found on May 9, 2010 by plumbers working in the Colorado house where she had been buried. Authorities in multiple states searched for Lynch and Sims and finally caught them in July 2010. Both were charged with first-degree murder, but both reached a plea deal and pleaded guilty to child abuse resulting in death. Lynch was sentenced to 27 years in prison and Sims was sentenced to 40.